This combination of flavors is delicious on pork chops! In a large skillet, heat the olive oil and brown both sides of the pork chops. Season with salt and pepper. In a mixing bowl, stir together the orange marmalade, soy sauce, rice wine vinegar and sesame oil. 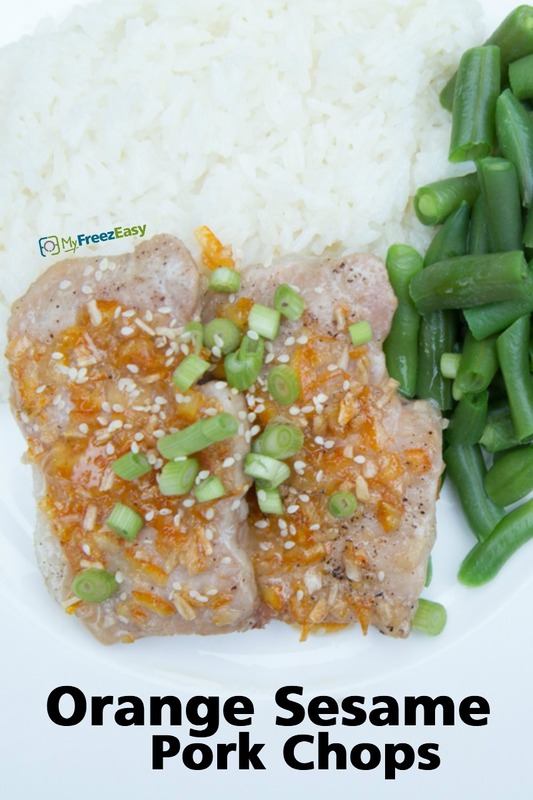 Pour the orange sesame sauce over the browned pork chops, and continue cooking in the skillet for 5 to 7 more minutes, or until pork chops are cooked through. Cooking time may vary depending on thickness of the pork chops. 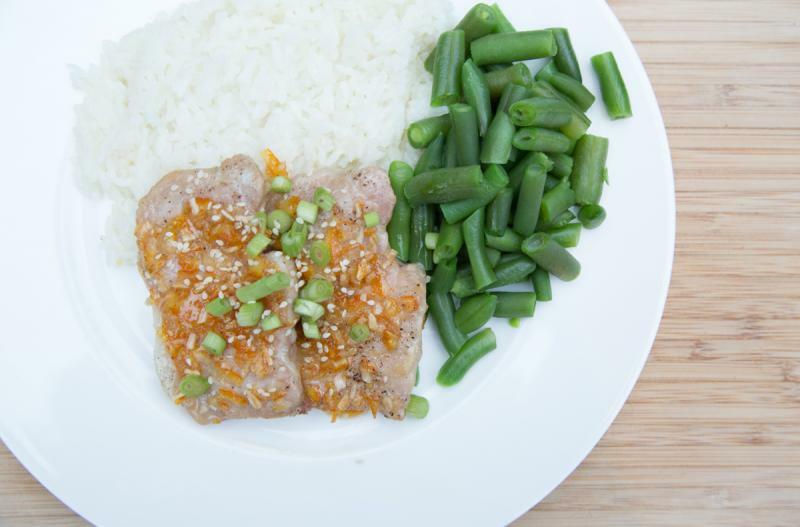 Serve Orange Sesame Pork Chops with sliced green onion garnish, and side of rice and veggies. Put baggie in the freezer and freeze up to 6 months in fridge freezer or 12 months in a deep freezer. Thaw in the fridge overnight, or a warm bowl of water for about 20 minutes, before adding all contents of baggie to the skillet. Saute pork chops and sauce on both sides for 5 to 8 minutes, or until cooked through. To bake, place pork chops and sauce into a baking dish. Bake at 400 F for 30 to 40 minutes, or until cooked through. Thaw and add all contents of baggie to the skillet. Saute pork chops and sauce on both sides for 5 to 8 minutes, or until cooked through.